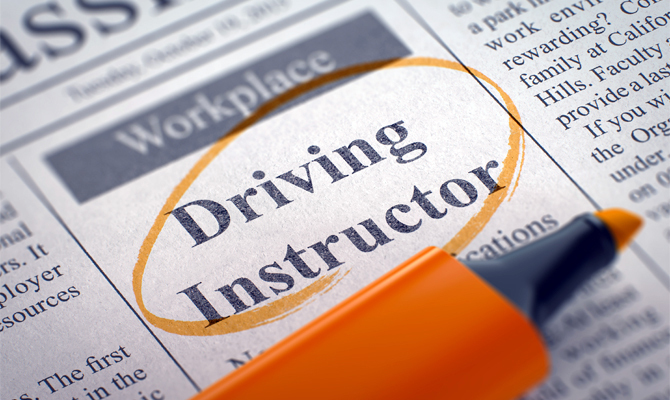 Having a career with job satisfaction Is what can be achieved once you have qualified as a driving instructor. Teaching a life skill and helping pupils to achieve their goals is extremely rewarding and a great feeling to realise you have guided them along the road to success. Many training providers often have two to three trainees in the training vehicle as this can be financially viable for maximum return. This means your hands- on training time is being divided by two or three. At Thumbs Up Driver Training we take your journey to your new career seriously, giving you value for money and ensure the course is well structured and to maximise your time will guarantee your training will be on a one to one basis. You will receive support and assistance at every step along the qualifying process from potential instructor, through to qualifying as an approved driving instructor. It can be a big step from being employed to self-employed but there are also a lot of benefits. You can be more flexible with the hours you work and when to take holidays rather than rigid hours such as 9 to 5 or unsociable shift patterns. The training will be part time which means you can train alongside your current job / commitments. To get the most out of the training it is advisable to have regular sessions. The duration of each session ideally will be 2 hours, however, if required can be up to 4 hours. It is important to ensure you set aside time for home study alongside your sessions with me as your trainer. Training is up to date and including the new part 3 test training. Study guides and the relevant DVSA recommended books are also included. Once you have qualified as an instructor and decide to join the team at Thumbs Up Driver Training you will receive on-going support and personal development. We take your journey to your new career seriously, giving you value for money & your training will be on a 1 to 1 basis. When we consider how the ADI qualification is structured, it really is an effective, logical and simple system. We are a local, friendly, established family run business with the aim to expand, therefore we are looking for the right qualified instructors to join our team. If you would like to find out more information about becoming a driving instructor with Thumbs Up Driver Training, please complete the form below and I will get back to you ASAP.